Joel S. Wit is a Senior Fellow with Stimson and Director of 38 North. Wit is an internationally recognized expert on Northeast Asia security issues. As a U.S. Hitting the Reset on the UN? Today the U.S. president will preside over a high-level meeting on United Nations reform on the sidelines of the annual General Assembly meetings in New York. It holds out promise for urgently needed reforms. 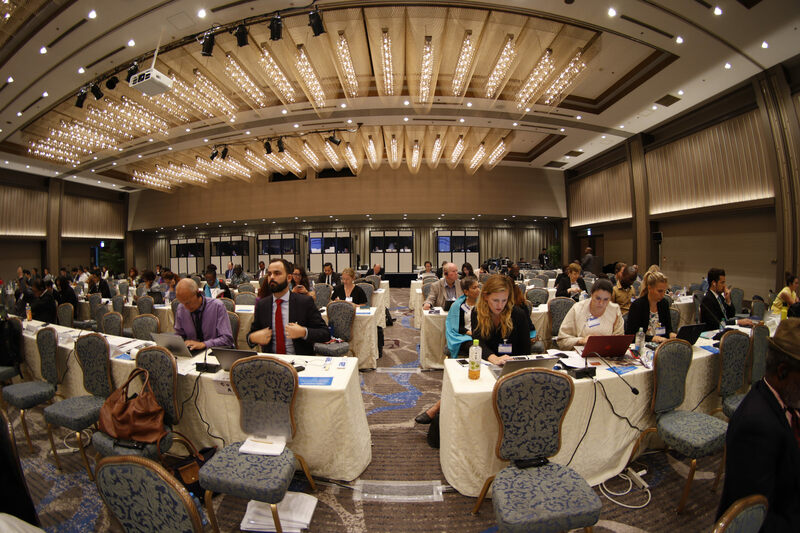 With the backdrop of Trump administration threats to take a sledgehammer to the U.N. budget and its recent withdrawal from the U.N. climate agreement, however, the gathering also has many concerned about its underlining motivations. Surprisingly, the 10-point Political Declaration governments are required to endorse in order to participate in the meeting — for which 128 (and counting) have already agreed to support—simply backs U.N. Secretary-General António Guterres’ ongoing efforts to improve the organization’s management, including an important reorganization of the Secretariat’s peace and security departments proposed earlier last week. It steers clear of setting more politically-fraught preconditions, such as overhauling the Human Rights Council or other major intergovernmental organs. This approach likely helped to attract fourteen diverse countries to sign-on as “collaborators”, including important powers such as India, China, Germany, Japan, and the United Kingdom. Like the U.S., these governments—along with activists, many U.N. staff, and most experts — acknowledge that the U.N. needs to be managed differently if it is to deliver results and receive the resources needed to function. To be fair, the U.N. has evolved more over time than its critics proclaim. But the political and institutional barriers to reform are immense, with multiple opportunities for opponents to delay or block change. Consequently, the U.N. needs sustained and comprehensive reform if it is to better combat global threats, such as growing mass violence in fragile states and fears of devastating cross-border economic shocks and cyber-attacks. Reforming the U.N.’s management is a good — and realistic — start. But it will not be sufficient in the long-run. Intergovernmental forums need legitimacy and decisiveness, and U.N. system-wide operations need to be well-resourced, better coordinated, and more effective. Without tackling these more complex, political problems, any U.S.-led reform process will stall, and the Secretary-General risks accusations of bureaucratic tinkering. The question is then how can the U.S., the Secretary-General, and other participating governments use today's high-level meeting to launch a sustained effort that achieves previously elusive intergovernmental and system-wide reforms? The Secretary-General should continue to lead on operational reform and roll out major changes incrementally over roughly three rounds. The management reforms recently presented by the Secretary-General represent the first round. They center on breaking down silos among Secretariat departments (such as between Peacekeeping and Political Affairs) and modernizing personnel policies to suit primarily an operational agency and not a conference servicing one. The next round would focus on coherence within the three pillars of the U.N. system: human rights and humanitarian affairs, peace and security, and social and economic (or sustainable) development. The Secretary-General’s recently released first of two reports on U.N. development system reform is one example, including its calls for a more authoritative resident coordinator system “delinked” from a specific agency. The final round should enhance system-wide coherence across pillars in-line with a whole of U.N. approach. For example, the Secretary-General could scale promising cross-pillar collaborations, such as the Peace and Development Advisers jointly managed by U.N.D.P. and the Department of Political Affairs or calls for a new system-wide prevention platform. The Trump administration may have railed against the Paris Climate Agreement, but its negotiations offer wise lessons. Reflecting an inclusive process with clear timelines and benchmarks, official deliberations took place alongside regular consultations with the private sector and civil society. This effort produced broad-based coalition-building that gave governments more political cover when ultimately asked to make ambitious commitments during negotiations. Much like Paris, this second track focused on broader institutional reforms might culminate in a 2020 summit to mark the world body’s 75th anniversary. On the road to 2020, participants in today’s New York meeting might agree to lead small, preparatory working groups and to facilitate multi-stakeholder consultations too. Working groups would target strategic institutional reforms dealing with, for example, changes to the Human Rights Council’s composition and working methods, replacing the Trusteeship Council with an upgraded Peacebuilding Commission that emphasizes both post-war recovery and prevention, and streamlining and increasing citizens’ inputs into the work of the General Assembly. They should also institutionalize relationships with other influential global bodies, such as the G20 and World Trade Organization. Finally, today’s high-level event should not sidestep making the Security Council more representative and consistent with present-day political realities. A high-level endorsement of the ongoing Intergovernmental Negotiations (IGN) on Security Council reform must also signal the need to reach consensus on a new configuration for the Council by no later than 2020. Here the U.S. should take the lead with other important powers in seeking a new political bargain that the entire U.N. membership will accept as a replacement for the 1945 bargain. The I.G.N. has proven after nearly a decade that long overdue reforms are possible when major powers exert leadership, underpinned by support and creative ideas from think tanks and other non-governmental organizations. For instance, the Albright-Gambari Commission on Global Security, Justice & Governance called recently for a simple amendment to Article 23 of the U.N. Charter that would allow large non-permanent members to be re-elected to consecutive terms, thereby assuming a quasi-permanent status on the Council. Our research has shown that no single reform process will deliver the kind of far-reaching change the U.N. needs. A multi-track approach has become imperative if the Trump administration is serious about reform. Rather than representing a one-off gathering where aspirational, non-binding commitments are voiced, the September 18 high-level event could signal a new kind of enlightened U.S. leadership. In backing the leadership of the U.N. Secretary-General on operational changes, empowering working groups committed to system-wide institutional modernization, and engaging other major powers on Security Council reform, the United States would once again advance its interests and values by shepherding an international architecture that is capable of solving contemporary global problems. Richard Ponzio directs the Just Security 2020 Program at the Stimson Center and Michael Schroeder directs the Global Governance, Politics and Security Program at the School of International Service at American University.